Q1. Can you tell us more about your journey into politics? As a first time MP, what inspired you to enter the field of politics? My entry into politics has been due to very unfortunate circumstances. I entered into politics after the demise of my husband. My husband was a natural leader, born in a former ruling chief family, living amongst people, solving their problems, fighting for their rights were the innate qualities of my husband. In these he needed assistance and he delegated substantial “work to do” to me. Therefore I was working for people alongside with him. 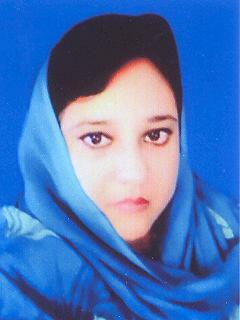 I joined politics to fulfil my husbands incomplete wishes and also for my passion of helping the ones in need. Q2. Do you feel that as a woman working in the field of politics, you faced certain challenges which your male colleagues might not have? Can you recount some of these challenges? Working alongside my husband did not encounter such challenges per-se. Reaching out to maximum number of people was my husbands forte. I have been able to do that in-spite of it involving lots of travelling and tiring at times but never felt of ceasing out, challenges are faced by everyone. The people of Odisha call me Rani maa, and give abundant respect, they wipe away all weariness by their belief in me. I will stand up to their belief. Q3. How have you worked on overcoming the hurdles in your path to reach where you are today? ‘Observation, tranquil mind, application and instinct’ is the mantra, words which I rely on in overcoming the challenges. Each challenge and situation is unique and dynamic, hence a particular theorem cannot be applied. Q4. How would you describe the current status of women in Indian society today? How has it changed in the past decade ever since women representation in Parliament has gone up? The status of women in urban India amongst upper and middle class is reasonably good now. Education and awareness amongst women folk is the prime catalyst in this change. Women are more or less aware of their rights and the parity that the constitution of India provides them. However the condition of the poor urban women is not too different from that of the rural women. Here discrimination against women is highly visible. Equality and rights guaranteed to the women by the patriarchal system prevails and women themselves submit to these structures.